Here's another quick and easy fall craft that we worked on this weekend. This idea came from the Glued To My Crafts Blog. My 8 year old and I worked on this this afternoon. You can see the original directions at the blog above and below I explain what we ended up doing. 2. When the glue has dried and the sticks stick together, cut out the top and bottom of the core (red or green). I traced half way around a soup can to get a semi circle and that was too big so I cut off lengthwise some from the bottom of the semi circle and that worked out nicely. Glue the apple top and bottom to the sticks. 3. 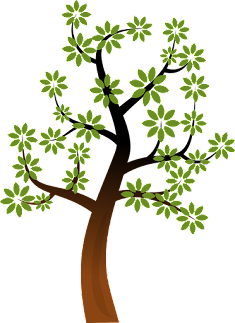 Cut out a leaf from the green paper and a stem from the brown construction paper and glue behind the apple top piece. 4. 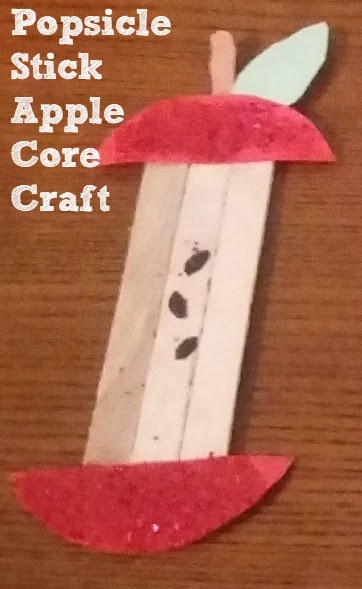 Draw apple seeds, if desired, on the popsicle sticks. 5. Optional (which my daughter loved), put glue on the apple top and bottom and add glitter.